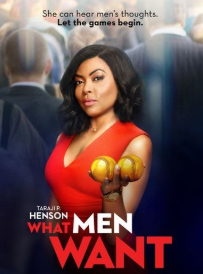 There is plenty of comic relief in “What Men Want” but the movie for the most part is nonsense. Taraji P. is great in the movie, but most of the supporting cast was a bit boring. Taraji P. is a strong actor and therefore the supporting cast needs to be strong. Aside from Richard Roundtree, you do not get this combination in “What Men Want”. This is a 2 ½ Star Movie! !